• Each clip has non-skid pads to protect your smartphone or device firmly in place. 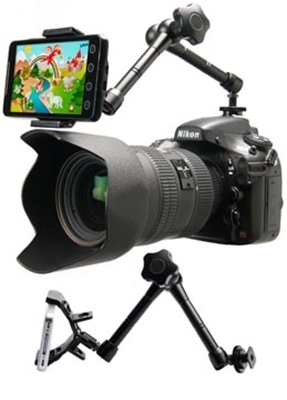 • The SmartClip is attached to the camera by either a 7'' or 11'' articulating arms. • A cold shoe mount connects the arms to your camera. • Produce a video from the camera's POV of a wedding, event or any photo shoot simultaneously. • As a tele-promter display for DSLR video shooting. • Catch-A-Smile is a great attention grabber of children, pets and other subjects. • Play a favorite App or video on the smartphone. 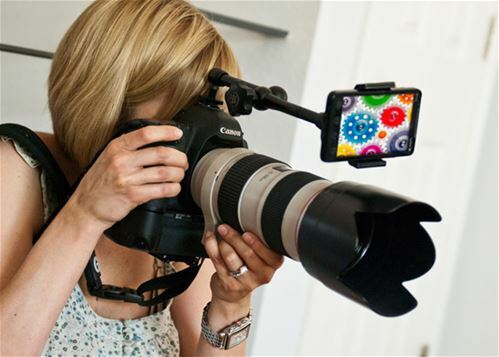 • Creates an monitor for the photographer or subject to see images as they are shot. 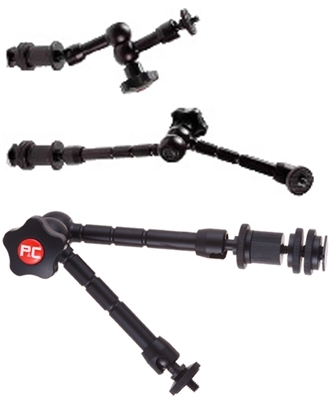 Choose from an 11'' or 7'' Articulating Arms.